Social Measurement Tools-What are they good for? Online measurement tools are websites that give you a score, a number based on your online activity and how much interaction you’ve created with it. You will get a profile on the measurement website where other users can visit to see which topics you are influential in. 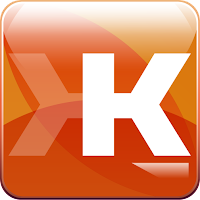 The most popular such tool is Klout, based on the word clout which simply means your influence, the word Klout now means your online influence. When joining Klout you can connect pretty much any and all your online networks. Your blog, WordPress or Blogger; your twitter profile; your Facebook profile, or fan page; your Google+ profile and Youtube account, and some other. Klout quickly (and automatically) looks through your history to see how much interaction you’ve created with your posts, and will keep checking on a daily basis. It seems to work best for Twitter and Facebook, you’ll get a good score for having received lots of retweets on Twitter, and comments/shares on both. The Klout score of those you’ve interacted with counts as well. If highly influential people interact with your posts you will most likely see your score increase. Empire Avenue is what I consider a ‘gamified’ (see gamification) social interaction tool. Similar to Klout you can connect many of your networks, but rather than an overall score you will receive a score on each from 1 to 100. It looks at your interactions much the same way that Klout does to determine your scores. But in addition to this you can buy shares in other users. So it’s a digital stock market with virtual money known as Eaves, or just E.
The virtual money can be used for something else too, you can create ‘Missions’ for other users to visit a website, retweet something, comment or share something, or pretty much anything else related to the online world. This increases your Klout score, your website visitors, your followers, and your dividend payout. Owning shares pays dividends similar to real stock markets. The dividend value is based on social interaction as well, so buying shares in popular users (with high Klout or Empire Avenue scores) will result in good R.O.I (return of investment), and more eaves to spend daily on creating missions and buying more shares. When first joining it’s good to buy new users who are growing fast, with good scores (many twitter followers, etc. ), and also do some other user’s missions to quickly gain Eaves. What are these tools good for? Klout has certain ‘Perks‘ that are available to users based on their Klout score. A higher score means you’ll have more perks available. Perks are given out by companies who want influential people to try or talk about their stuff. Some perks I’ve seen are: Test Drive a luxury Car for free, $15 gift to spend on shopping website, and cheaper tickets with better seats for an event. Klout does mean something in the digital world. I’ve heard the rumor that certain employers will actually look at the Klout score of someone they consider hiring. That’s probably more true for online marketing jobs, or just to check if someone is who they say they are. But one thing I’ve noticed is when my Klout score increased so did my Twitter followers and interactions received. People might be more interested in talking to you either to increase their own score, or just because you’re an interesting and (proven) influential person. Empire Avenue missions are useful to kickstart a website, article, profile, YouTube channel etc. or to gain more followers. Let us know in the comments if you’ve had some success (or horror) stories from using these tools. Or if there are some other tools like these on the web. nickogibson is author at LeraBlog. The author's views are entirely his/her own and may not reflect the views and opinions of LeraBlog staff. He is a video editor with a passion for all things digital and technology.